Probably the most well known for their association with the Carlsburg brewery, the Jutlands were used to haul heavy brewery wagons. 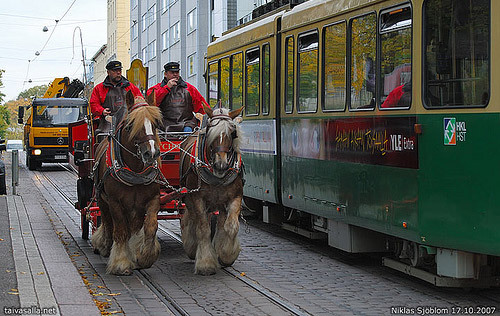 These animals are still used for beer transportation in Copenhagen today, in addition to promotion, festivals and films. 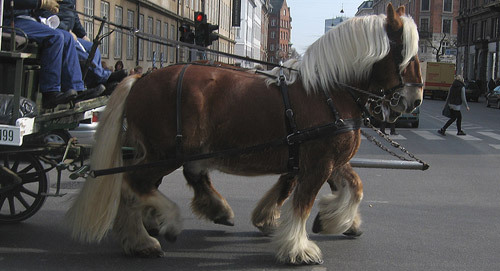 A heavy horse that has been bred on the Jutland peninsula of Denmark since the middle ages. This breed is thought to contain blood of the Shire horse and the Suffolk horse. Have images or more information about the Jutland Horse? I’d love help completing this page, please contact me to get involved.